As a natural continuation of the growing interest in our aircraft glass product range, Air-Craftglass is experiencing increasing demand from clients for assistance in the certification of products and the integration of Quality, Health, Safety and Environmental management systems. To respond to this need, Stefan van Tigchelt has recently joined our company as director of certifications. Stefan van Tigchelt is a senior quality assurance and health, safety & environmental management manager as well as external prevention advisor and environmental coordinator. 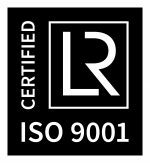 He is also an IRCA (International Register of Certificated Auditors) certified lead assessor and brings many years of experience and expertise in this field to Air-Craftglass. In addition to supporting our clients, Stefan will also be responsible for the certification of our manufacturing units according to the strictest standards in effect in the aviation industry (ISO 9001 & AS9100). He has previously worked for Lloyd’s Register EMEA and General Electric. We are confident that Stefan will provide welcome reinforcement to the Air-Craftglass team and be instrumental in helping us reach the next stage of our objectives. If you would like to make his acquaintance, you can meet Stefan at our stand (nr 3663) during the NBAA show in Orlando, USA. He is looking forward to a pleasant and successful cooperation! Copyright 2019 Air-Craftglass Inc. all rights reserved. “Air-Craftglass” is a trademark of Air-Craftglass Inc.-USA. Air-Craftglass is holder of several patents which are used to produce the specific Air-Craftglass products. The design of the website remain the copyright of Air-Craftglass Inc. No part of this website may be produced stored in a retrival system or transmitted in any form or by means, electrostatic, tape, mechanical, photocopying, recording or otherwise without the prior permission in writing of Air-Craftglass Inc. Sales terms and conditions are available upon request. Air-Craftglass is a member of the National Business Aviation Association (NBAA) in the USA.